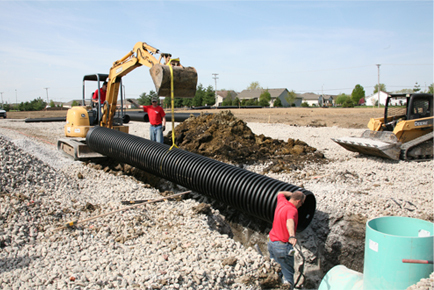 Combining durability and ease of use, our pipe is the natural choice for a variety of commercial drainage needs for municipalities, engineers, golf course superintendents, subdivision developers and more. 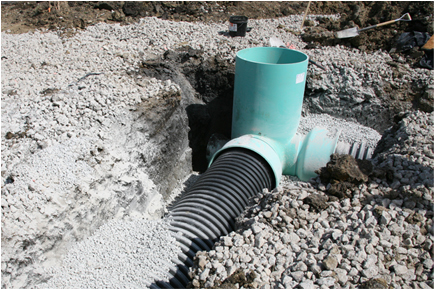 While the Illinois Department of Transportation has approved the same installation method for both concrete and plastic, there are still some significant differences when it comes to the installation process. 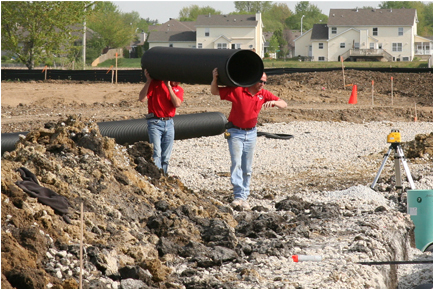 For example, our lightweight and long length pipe allows for less heavy machinery, fewer work crews and shorter installation time than with other materials, like concrete and steel. This can thereby save you money on your project and, in the long run, on system maintenance.